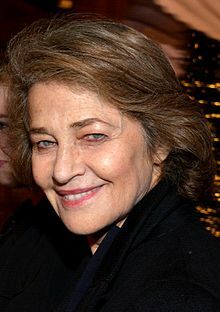 ^ Charlotte Rampling Biography (1946?-). Filmreference.com. [17 October 2010]. ^ Mackenzie, Suzie. A time for happiness. The Guardian. 16 August 2003 [7 February 2014]. ^ How We Met: Jean Michel Jarre and Charlotte Rampling – Arts and Entertainment – The Independent. The Independent. [8 April 2016].